Serbia’s president has praised Russian efforts in fighting terrorists in Syria, saying that if Moscow hadn’t intervened, the Middle Eastern country would have ceased to exist as a sovereign state. The statement comes in stark contrast to NATO’s assessment of the situation. Tomislav Nikolic emphasized the need for Russian military involvement in Syria, stating that “If it [Russia] didn’t intervene, Syria would be a country of the so-called Islamic State [IS, ISIS/ISIL],” in an interview with TASS on Tuesday. The Serbian leader was quoted as saying that the Russian military is essential to protecting peace in Syria and countering the jihadist threat, which might spread globally and affect other countries, including Russia, if not contained at this stage. 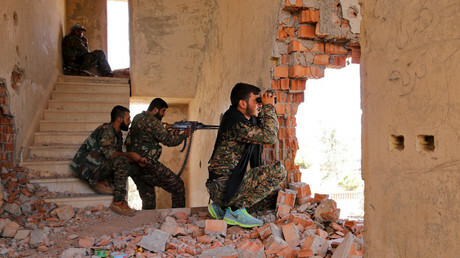 “Russia should be in the military aspect involved in the protection of Syria at the request from Syria, as it would mean protection from terrorism, and it is much better to be protected from it in Syria than in Russia,” he added, pointing out that the strategy employed by the Russian government is in fact akin to that of the US, which on numerous occasions has used its forces to fight terror overseas. Nikolic also compared the escalating situation with IS – which aims to establish a full-fledged state on the territories under its control – to the declaration of Kosovo independence. “At the time when Kosovo terrorism developed into the establishment of a quasi-country, which some countries…began recognizing, I was confident the time will come and some forces in the Islamic world will realize guns and weapons may be used to establish a state,” Nikolic was quoted as saying. “Ignoring international and humanitarian law, human rights, killing people, posing a huge danger to the world, protecting borders of some territories they created, they enjoy someone’s support,” the president added, without elaborating. Contrary to Nikolic’s remarks, NATO’s Secretary General Jens Stoltenberg expressed his concern over the Russian military build-up in Syria and its naval presence in the Eastern Mediterranean in a CNN interview on Monday. “When it comes to Syria, we, of course, are concerned over significant Russian military build-up with air forces, with ground troops and also military presence in the Eastern Mediterranean. We are also responding to that with assurance measures and increased military presence in Turkey, but also with an increased NATO military presence in the eastern part of the Mediterranean,” Stoltenberg said. The NATO chief went as far as to claim Russia is actually trying to “divide NATO’s allies” with its actions. “What we have seen for a long time is a more assertive Russia trying to intimidate its neighbors and to divide NATO’s allies,” Stoltenberg added, asserting that Moscow had succeeded in that aim and that the military alliance has responded to the “threat” by increasing its military presence in the region. 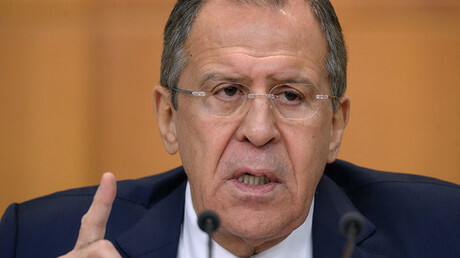 Earlier in March, the Russian Foreign Minister Sergey Lavrov reiterated Russia was not seeking confrontation with NATO or the West in general. “We are not seeking confrontation with the United States, or the European Union, or NATO. On the contrary, Russia is open to the widest possible cooperation with its Western partners. We continue to believe that the best way to ensure the interests of the peoples living in Europe is to form a common economic and humanitarian space from the Atlantic to the Pacific, so that the newly formed Eurasian Economic Union could be an integrating link between Europe and Asia Pacific,” Lavrov stressed. At the same time, Russian officials have been voicing concern over NATO’s expansion into Eastern Europe, which Moscow views as a non-friendly move. In February, the Serbian parliament passed a new law on cooperation with NATO, signed by Nikolic, which sparked a wave of protests and speculation that the next step would be Serbia joining the alliance. The law allows NATO troops immunity and safe passage through the country’s territory. 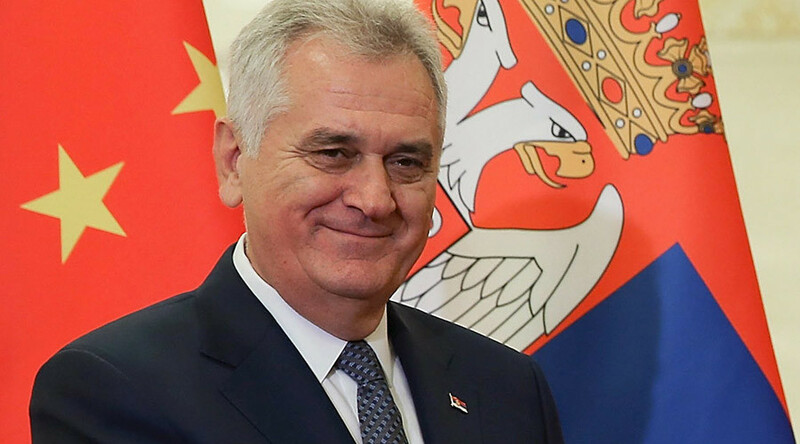 However, as far as entry into NATO is concerned, Nikolic rejected such a possibility, saying that the idea of being part of a military alliance is highly unpopular among citizens. “We never were part of any military alliance in peacetime and we did not expect that anyone could attack us like NATO did, but then we were an unprotected state,” he said, adding that if the agreement on NATO accession were put to a referendum, it would fail the vote. Serbia, then part of the Federal Republic of Yugoslavia, came under a months-long NATO bombing campaign in 1999 as part of the alliance’s military operation against President Slobodan Milosevic’s forces. The bombing started under the pretext of preventing further alleged war crimes in the Kosovo War – the Serbian-Albanian conflict that escalated after the emergence of the separatist Kosovo Liberation Army. The campaign left hundreds of civilians dead, and destroyed much of Serbia’s economy and infrastructure.